Head on over to Daiso Japan’s Clearance Sale! 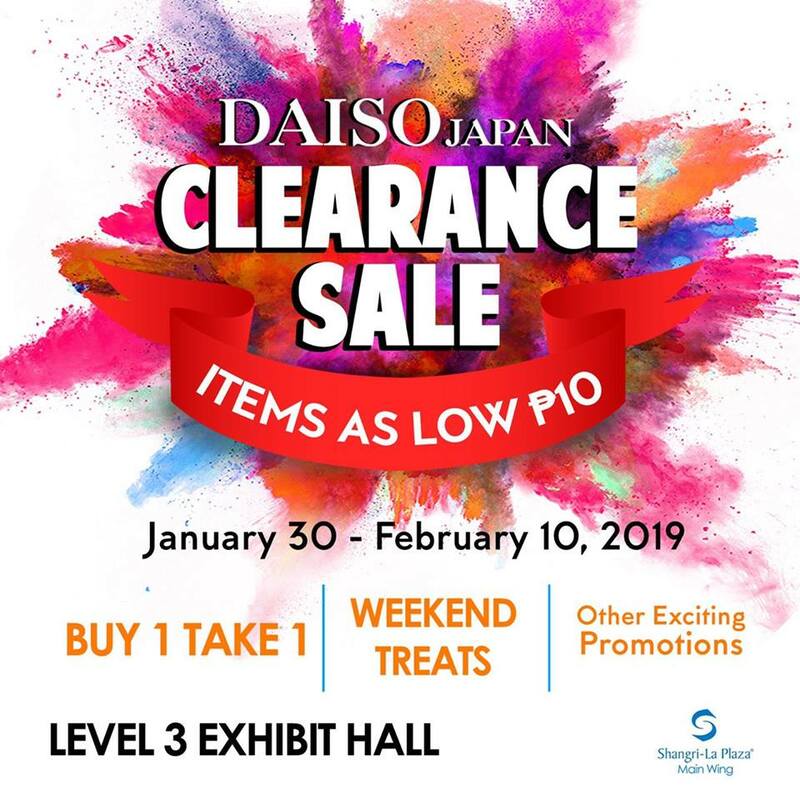 You have until February 10, 2019 to visit Daiso at Shangri-La Plaza’s Main Wing, Level 3 Exhibit Hall. Enjoy items as low as P10..plus Buy1 Take Offers this weekend!